Italian oxidized silver plate Angel Crucifix. 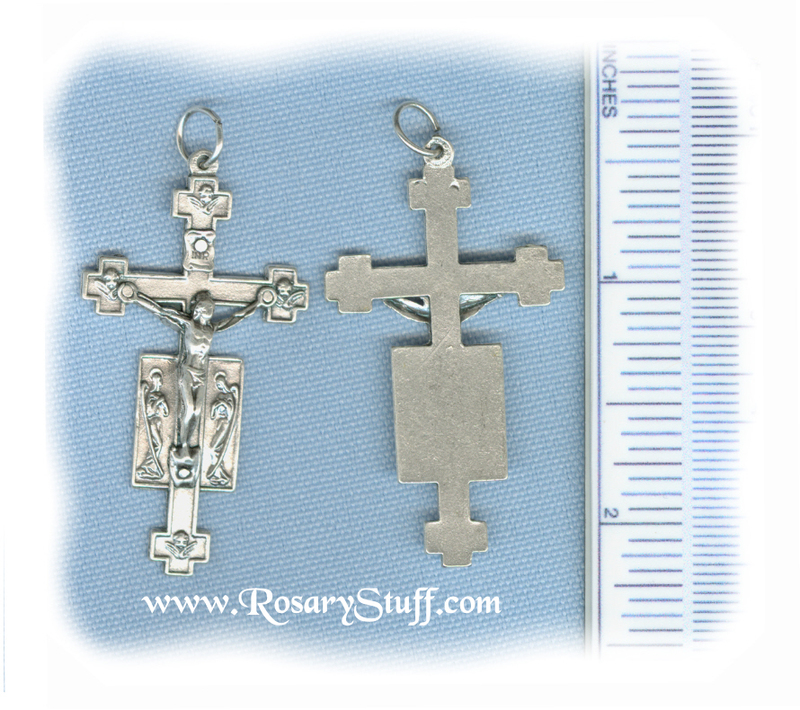 This sweet crucifix features 2 large angels on either side of Jesus and 4 cherub angels at each point on the cross. It is 1 3/4 inches tall (not including the top ring) and 1 inch wide.